Abhinav, B.S., M.J. Reddy, Y.S. Kumar and S. Sivanantham, 2015. ASIC design of reversible adder and multiplier. Int. J. Comput. Applic., 109: 6-10. Agarwal, A., P. Harsha, S. Vasishta and S. Sivanantham, 2014. 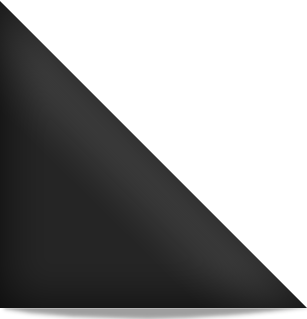 Implementation of special function unit for vertex shader processor using hybrid number system. J. Comput. Networks Commun., Vol. 2014. 10.1155/2014/890354. Babu, A.R., R. Saikiran and S. Sivanantham, 2013. Design of floating point multiplier for signal processing applications. Int. J. Applied Eng. Res., 8: 715-722. Kansagara, K., K.V. Shravya and S. Sivanantham, 2015. Dynalic Reconfigurable Architectures: A Boon for Desires of Real Time Systems. In: Information Systems Design and Intelligent Applications, Mandal, J.K., S.C. Satapathy, M.K. Sanyal, P.P. Sarkar and A. Mukhopadhyay (Eds.). Springer, India, ISBN: 978-81-322-2246-0, pp: 235-244. Kumar, P.S., A. Verma, C. Patel and S. Sivanantham, 2014. Efficient floating point multiplier implementation via carry save multiplier. Middle-East J. Scient. Res., 22: 1652-1657. Singh, H., R. Heena and S. Sivanantham, 2014. ASIC implementation of two stage pipelined multiplier. Int. J. Eng. Res. Technol., 3: 1464-1466. Sivanantham, S., 2013. Design of low power floating-point multiplier with reduced switching activity in deep submicron technology. Int. J. Applied Eng. Res., 8: 715-722. Sivanantham, S., K.J. Naidu, S. Balamurugan and D.B. Phaneendra, 2013. Low power floating point computation sharing multiplier for signal processing applications. Int. J. Eng. Technol., 5: 979-985. Sivanantham, S., M. Padmavathy, G. Gopakumar, P.S. Mallick and J.R.P. Perinbam, 2014. Enhancement of test data compression with multistage encoding. Integration VLSI J., 47: 499-509. Sivanantham, S., M. Padmavathy, S. Divyanga and P.V.A. Lincy, 2013. System-on-a-chip test data compression and decompression with reconfigurable serial multiplier. Int. J. Eng. Technol., 5: 973-978. Sivanantham, S., P.S. Mallick and J.R.P. Perinbam, 2014. Low-power selective pattern compression for scan-based test applications. Comput. Electr. Eng., 40: 1053-1063. Sivanantham, S., R. Adarsh, S. Bhargav and K.J. Naidu, 2014. Partial reconfigurable implementation of IEEE802.11g OFDM. Indian J. Sci. Technol., 7: 63-70. Suresh, B., P.T. Reddy, V.S.V. Srihari and S. Sivanantham, 2014. ASIC implementation of low power universal asynchronous receiver transmitter. World Applied Sci. J., 32: 472-477. Valibaba, D.S. and S. Sivanantham, 2010. A survey on single and double edge-triggered flip-flops to design scan flip-flop cell. Programmable Device Circuits Syst., 2: 163-170.